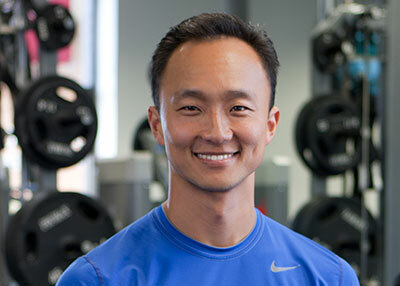 Jimmy Shin has been in the fitness industry for nearly 20 years. His first experience with fitness was participating in martial arts, acquiring two black belts in the art of Tae Kwon Do and Hapiko. After receiving his black belt at the age of 16, Jimmy began teaching martial arts first to children and eventually teaching all classes. While Attending The University of California, Los Angeles, Jimmy studied Biology and Human Bio mechanics receiving his B.S. in that field of study. His trainer certification is through The American Council on Exercise (ACE) which he also has received is advanced certification as a Corrective Exercise Specialist (CES). The CES allows Jimmy to assist those clients that require a post-rehabilitative need. As a trainer, Jimmy has worked exclusively for private clubs both as a trainer and fitness director. He is also an educator as he provides teaching lessons for other trainers as well as teaching classes in myofascial release techniques, gait, and biomechanics.